Meet Erika — PRETTYGIRL ACADEMY, INC. About Us- PrettyGirl Academy, Inc. Meet Erika — PRETTYGIRL ACADEMY, INC. It took me years to embrace who God created me to be and to learn the best ways to deal with life’s challenges. I’m not perfect but I’ve come to know and embrace who I am and to love myself fiercely. When I was a kid I sometimes felt that I needed answers and guidance. That feeling led me to create an organization where girls can talk openly with other girls without fear or exposure to peer pressure. A place where they can receive guidance and ask questions about what life is all about to women who genuinely care for them and have a stake in their success as part of a mentoring program. I created Pretty Girl Academy Inc. as a way to give African American girls in my community the things I lacked while I was growing up. 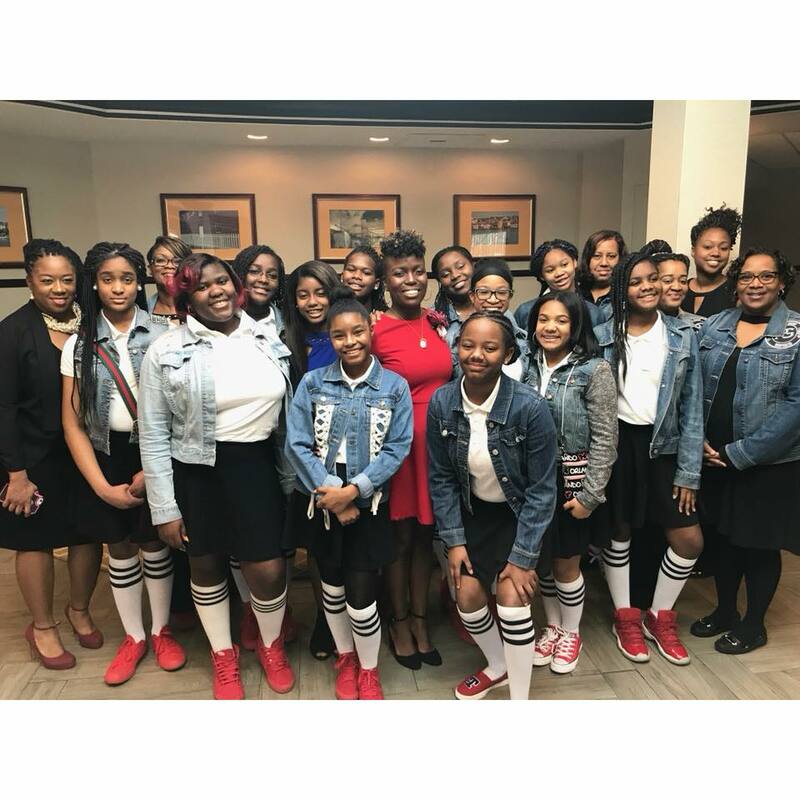 It began in 2008 as my senior project while I was a student at Morgan State University in Baltimore, Maryland and has grown into a full mentoring program for black girls that fills the gaps many of our girls have in their lives. No girl should grow up not being comfortable and insecure about who they are. That’s why I’m a woman on a mission. I see a younger version of myself in many of the African American girls in my community and I want to help place them on the path to success so they’ll be confident and capable by the time they reach their 20’s and beyond. At PrettyGirl Academy Inc., we help girls embrace who they are. We lead them as they discover their own unique paths through life.